Find Bennett, CO Homes for sale. View Photos, Maps and MLS Data Now! Brothers Four - The basement is perfect for just about anything, from game room to craft room to movie room ...Don't miss your chance to see this beauty MLS#8664816. American Home Agents. Included in this home is over $10,000 in upgrades; including a fridge, microwave, oven, dishwasher and more this home is perfect and move-in ready! MLS#9252578. LGI Homes - Colorado. Bring your animals and/or home business*This well built modular home is quality built thru and thru*6 inch exterior walls, Hardie board siding, rear deck and more*Large master with 5 piece bath and generous walk-in closet*Big kitchen with center island and stainless steel appliances*Huge partially finished walk-out basement*Water treatment system*Large 60x50 barn/shop with 4 Prefiert stalls with turn-outs, rubber mats, electric and more*1,000 gal propane tank is included* MLS#2368015. RE/MAX ALLIANCE. Included in this home is over $10,000 in upgrades; including a fridge, microwave, oven, dishwasher and more this home is perfect and move-in ready! MLS#6721312. LGI Homes - Colorado. Antelope Hills - Seller will throw in brand new washer and dryer with contract. MLS#8358416. HomeSmart Cherry Creek. Water rights are included and the property is zoned for agriculture! MLS#6387134. Keller Williams Integrity Real Estate LLC. Home has potential but does need TLC. 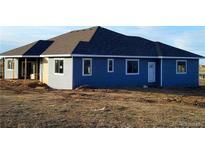 MLS#8074344. GATEWAY REALTY I-70 LLC. Don't miss out on this one! MLS#6964931. RE/MAX Masters Millennium. Come see your new home featuring 5 bedrooms; 3.5 bathrooms; an attached, oversized 3-car garage with a bonus/rec room overhead that has its own stair access; another oversized workshop/1-car garage on the other side of the house; a fenced back yard; an open floor plan on the main level and basement; gorgeous tile and wood flooring; an office on the main level; one bedroom in the basement that is ideal for crafts and hobbies; plenty of storage; a roof installed in March/2019; and sod in the front that went in last October and is greening up just in time for you to enjoy. MLS#2477904. Resident Realty. Lincoln Hills - This Is A Pre-1976 Manufactured Home And Does Not Qualify For Conventional/Fha/Va Financing. 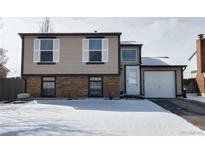 MLS#8227325. Your Castle Real Estate Inc.
With over $10,000 in free upgrades this home is affordable, attractive, and move-in ready. MLS#9579874. LGI Homes - Colorado. With over $10,000 in free upgrades this home is affordable, attractive, and move-in ready. MLS#9402675. LGI Homes - Colorado. Alarm system included. Your Oasis on the plains! MLS#6036551. Keller Williams DTC. Antelope Hills - Whether you’re hanging out in the massive garden-level finished basement, enjoying the spacious 3500+ square-foot main level or find your self in the 800 square-foot finished bonus room above the oversized three car garage, you will be impressed and delighted! MLS#4686105. LANDMARK PREMIER PROPERTIES. •New boiler 5/2015 •New roof 2015 •New roof and insulation for pump house •New concrete driveway/sidewalk 2015 •3 Yard Hydrants replaced •New exterior paint 2018 •New Carpet & Padding •New Interior Paint •New wide plank wood floors 2015 •New kitchen cabinets with granite countertops 10/2015 •New stainless steel appliances 10/2015 •Kitchen has all new electrical •New cabinets/granite countertops in Laundry room/Mud room •New lighting in kitchen •Added master walk-in closet with shelving •Added 1000 gal propane tank with line to shop •Upgraded sprinkler system (on timer) •New bathroom addition •New light fixtures in kitchen and foyer area MLS#7755819. GATEWAY REALTY I-70 LLC. 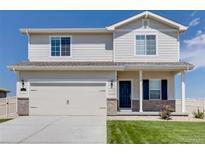 20-minutes to Southlands mall & 15 minutes to Aurora Reservoir & E-470. MLS#9600989. The Steller Group, Inc.
Centennial - 10x12 tuff shed in backyard included! MLS#4845819. RE/MAX PROFESSIONALS. Included in this home is over $10,000 in upgrades; including a fridge, microwave, oven, dishwasher and more this home is perfect and move-in ready! MLS#7477722. LGI Homes - Colorado. This outbuildings has many options for your use. MLS#5265636. HIGHGARDEN REAL ESTATE INC. Box Elder Creek Ranches - Hurry, don't miss this incredible property! MLS#3870924. HQ Homes. Antelope Hills - Quiet & peaceful, this is your opportunity to get away from the crowds of city living. MLS#3698823. MB METROPLEX REALTORS INC.
With over $10,000 in upgrades and a fantastic location, this home is impeccable and move-in ready! MLS#7002628. LGI Homes - Colorado. Use Directions Given - New Subdivision - NOT GPS'd. 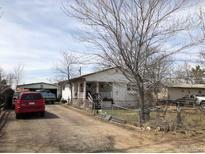 MLS#7470222. HILLSIDE COUNTRY HOMES & R.E.. The Harvard also includes an attached two car garage, covered front porch, and front yard landscaping. MLS#8164489. LGI Homes - Colorado. With over $10,000 in upgrades and a fantastic location, this home is impeccable and move-in ready! MLS#5068947. LGI Homes - Colorado.